Turkish PM Erdogan has criticized the EU for not condemning the violent crackdown on demonstrators in Egypt, which resulted in dozens of deaths, strongly enough. 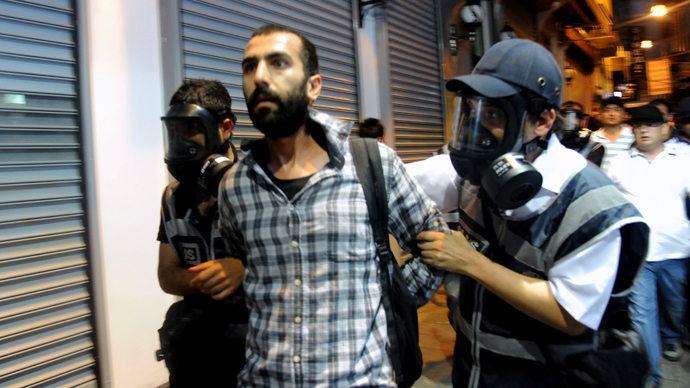 He believes the EU’s stance on less violent Turkish protests was unfairly tough. 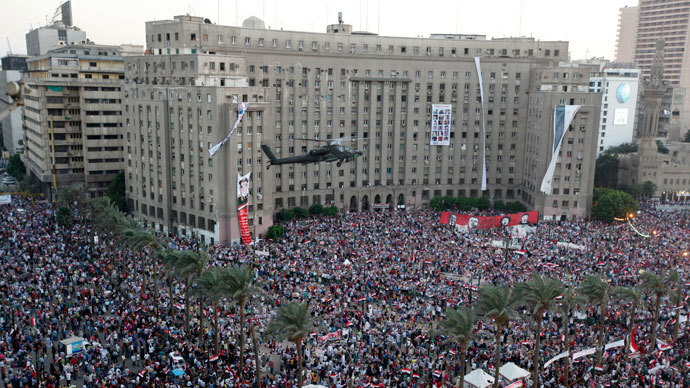 At least 72 people were killed and hundreds injured during Saturday’s clashes in Cairo between supporters of the ousted President Morsi and security forces, according to Egypt's Health Ministry officials. 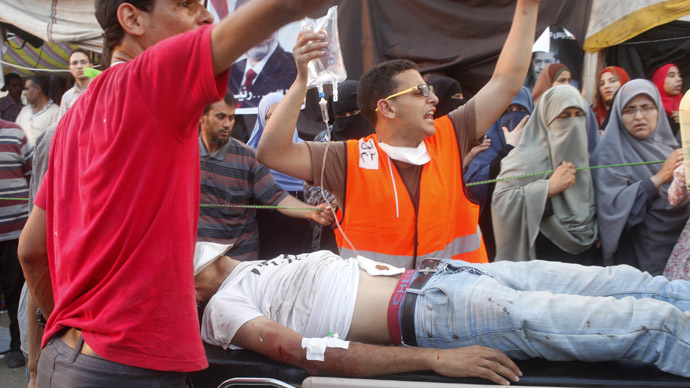 A further nine people died in clashes in Alexandria. Commenting on the bloodshed, the office of the EU foreign policy chief, Catherine Ashton, issued a statement, which said that she “deeply deplores the loss of life” during the demonstrations and "calls on all actors to refrain from violence and to respect the principles of peaceful protest." Still, Prime Minister Tayyip Erdogan lashed out at the EU for too soft an approach towards the deaths of Egyptian protestors in comparison with its tough criticism of the use of tear gas by Turkish police to disperse the recent massive anti-government rallies. "Those who were silent when Egypt's national will was massacred are silent again when people are massacred. What happened to the EU [and] European values, where are those who go around giving lessons in democracy?" Erdogan asked in a speech to a group of businessmen in Istanbul, as cited by Reuters. The EU was not the only target for Erdogan’s sarcasm. “In this extremely volatile environment, Egyptian authorities have a moral and legal obligation to respect the right of peaceful assembly and freedom of expression,” Kerry’s statement reads. This is not the first Prime Minister Erdogan has lashed out at the West. 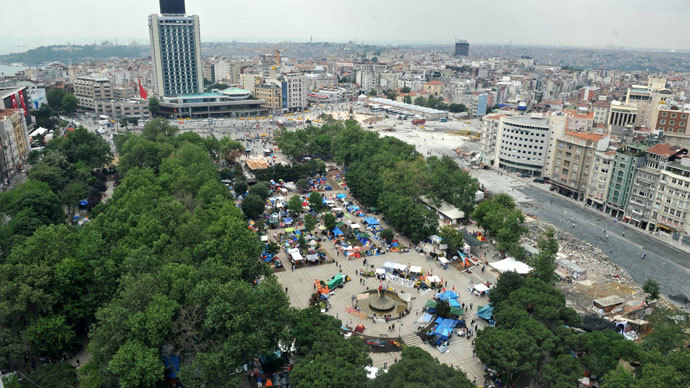 Shortly after massive anti-government protests began in Turkey in late May, triggered by the authorities plans to demolish Istanbul’s Gezi Park, the EU and the US condemned forceful methods used by Turkish police to quell the crowds. Back then Erdogan responded by saying neither the EU nor the US had any right to criticize the actions undertaken by Turkish law enforcers. "Those who are trying to teach us lessons, where were they when the Wall Street events in America were unfolding? 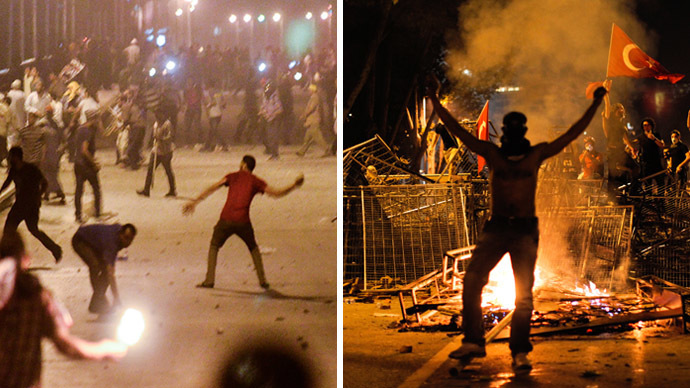 Tear gas was used, 17 people died, this happened. It happened in the UK, in France, in Germany and to a greater extent in Greece. These protests happen in these countries and they're all EU members," Erdogan said at an EU-Turkey conference in Istanbul on June 7.